Cofagrigus in game: 279 Who? Important notice! Pokemon Cofagrigus is a fictional character of humans. Cofagrigus (Japanese: ???—? 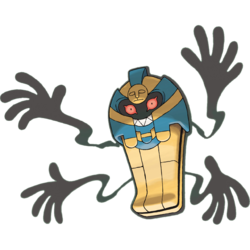 Desukarn) is a Ghost-type Pokémon introduced in Generation V.
Cofagrigus is a blue and yellow sarcophagus with red, menacing eyes and four ebony hands that appear to be shadows. A simply designed face is prominent on the "forehead" of the Pokémon. Its real face is covered up by parts that slide out of the way when it is active. White, sharp fangs compose a taunting smile and flamboyant patterns veil the coffin. The coffin is said to be made of gold. 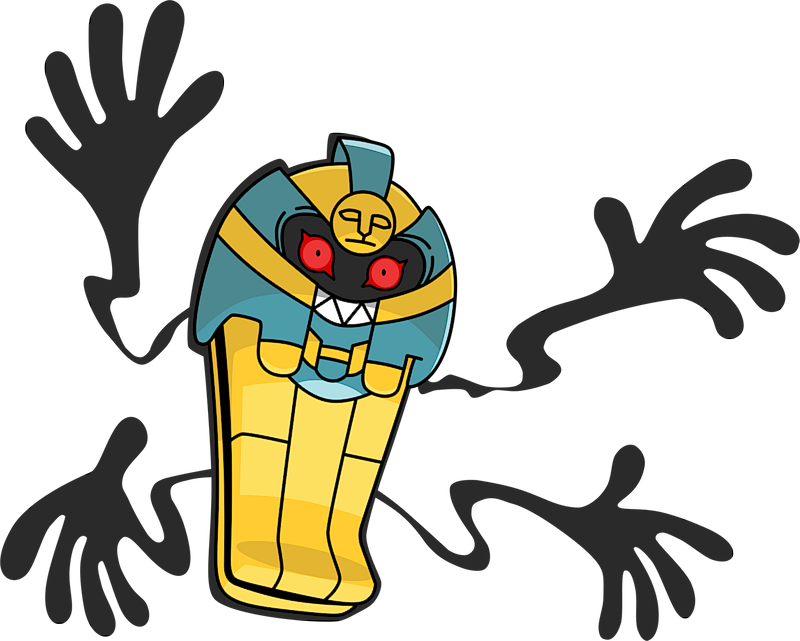 Ancient legends once told Cofagrigus could eat nearby humans and turn their lifeless bodies into mummies. It lives in tombs and ruins. Cofagrigus debuted in Explorers of the Hero's Ruin!. Several of them appeared in the Hero's Ruin, guarding the "Golden Dark Stone" along with a single Sigilyph. While Cofagrigus did not appear itself, a replica of its coffin appeared in a Nacrene City Museum exhibit in A Night in the Nacrene City Museum!. Dino owns a Cofagrigus. It was only seen on the scoreboard of his Vertress Conference match with Katharine in A Unova League Evolution!. 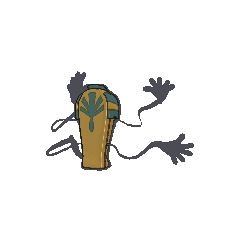 Cofagrigus has the highest base Defense stat of all Generation V Pokémon. 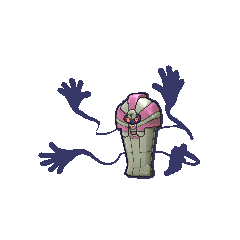 Previously, due to the censor that prevents Pokémon with offensive nicknames being traded on the GTS, an English language Cofagrigus could not be traded without a nickname. However, the filter has since been altered to allow Cofagrigus to be traded without a nickname. Desukarn may be a combination of death and ? kan (coffin).